As reported in the Evening Times (Super-yachts and river taxis could be set for the Clyde, Wed 24th April 2018), it is extremely disappointing to see the SNP councillors in Govan nailing their colours to New City Vision’s mast. Ferguson Marine are putting forward a golden opportunity for skilled jobs, training, modern apprenticeships, tourism and more that will benefit the economy of Govan for decades if it goes ahead. Yet it seems the only long-term work these councillors want to see on the graving docks is a few retail and hospitality jobs. Along with the Govan Docks Regeneration Trust we have been meeting community groups in Govan, we’ve been talking to people in the street and the almost unanimous consensus is that the people of Govan don’t want to see a high rise yuppie ghetto built on the graving docks for people who will commute and spend their money in the city centre or elsewhere. Almost everyone we have spoken to wants to see regeneration in the community and sustainable, long-term skilled work being created at the graving docks. Overwhelmingly they say they would love to see ships in the docks again. We just need to give that wee bit of extra confidence and belief that it can happen after decades of political neglect and under-investment. With the exception of Green Party Councillor Allan Young, we have heard nothing from the councillors in Govan, that reflects the views the many people we have spoken to have about the future of the docks. It’s unfortunate that it is being left to third sector groups such as ours to speak out and reflect the views of the people of Govan while certain of their elected representatives are clearly siding with profiteering property speculators who are only interested in turning the graving docks into a cash cow. The claim that the housing plans will create 1,500 jobs is beyond risible and lacks any credibility. We have already ripped this claim to pieces in our very detailed and thorough objection to the planning application. We have a huge opportunity here. Tourists and visitors are not going to flock to Govan to look at blocks of high-rise flats. They will come to Govan to look at ships going in and out so let’s make sure they have a reason to spend some time and money in Govan, support the local economy and perhaps learn something of the area’s rich heritage. This seems like a very careless own goal by the SNP Councillors in the First Minister’s constituency. 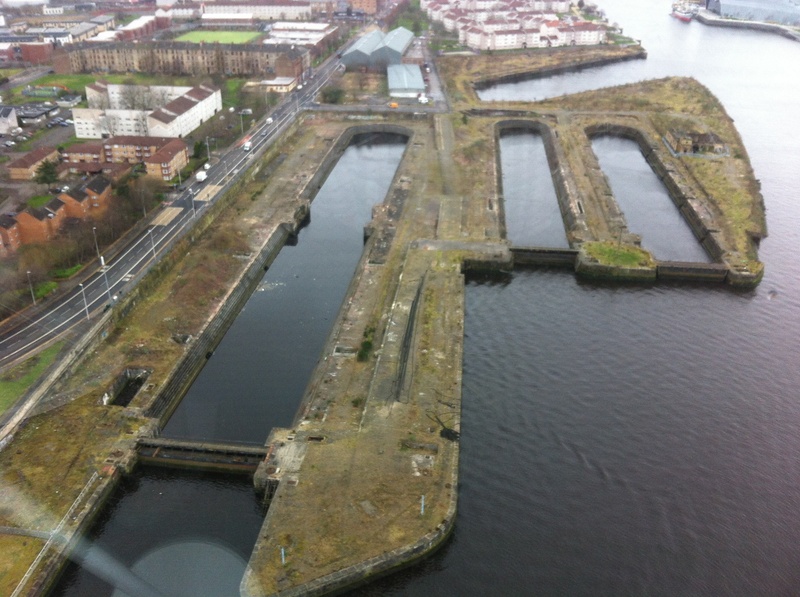 Next CDPI and Govan Docks Regeneration Trust: What’s the Difference? Surely the opportunity to bring marine industry back to Govan Graving Docks is something our local Councillors would welcome with open arms and do all they can to support? That’s the gauntlet we throw down to them. If you live in the Govan Ward get along to your councillors surgeries, your MP/MSP surgeries and make you voice heard by those who need your votes.